Uzbekistan National Revival Democratic Party (Milliy tiklanish, proposed to create a carpet weaving museum in the country, Uzbek media reported. Creating a separate museum, where samples of carpet weaving schools of Xiva, Andijan, Urgut, Nurabad, Kushrabat, Karsha and other regions will be collected, will undoubtedly contribute to preserving and widely promoting the national cultural heritage and tourism development. There are similar museums in many other countries. For example, in Iran, Turkey, Azerbaijan and Turkmenistan. In Baku, the capital city of Azerbaijan, a museum of carpet and applied arts has been created; there is a similar museum in Mashhad. "Carpet weaving has been developed in our country since ancient times. Currently, this kind of handicraft is widespread in Uzbekistan. Some 30,000 household manufactures are operating in the country on top of enterprises. 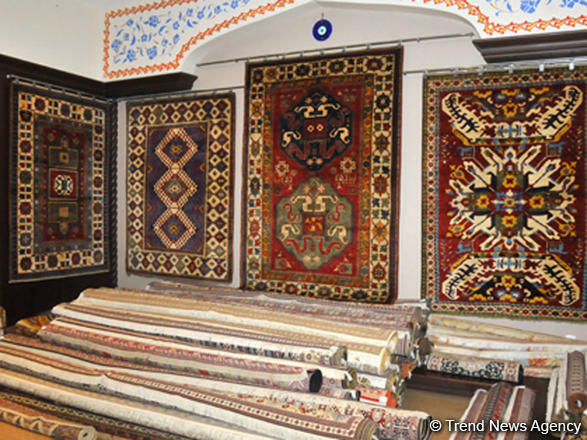 Carpet weaving schools have been preserved in the Fergana Valley, Samarkand, Kashkadarya, Surkhandarya, Bukhara and Khorezm regions and the Republic Karakalpakstan", the party noted in its statement. A classic Uzbek carpet is a carpet woven on a narrow-lawn machine, in separate strips, which are then sewn together into a single cloth, decorated by signs and symbols associated with the worldview of the inhabitants of the Central Asian steppes. The most archaic type of Uzbek carpet is julkhirs, a carpet with a long lint. But the best and most elegant products in color and decor are lint-free. These are kokhma, terme, gajari, takir, sumakh, besh-kashta, embroidered with enli-gilam and kiz-gilam.